This will be a recurring post where our Beautypendents answer five questions. Suggest your own interrogation questions in the comments! 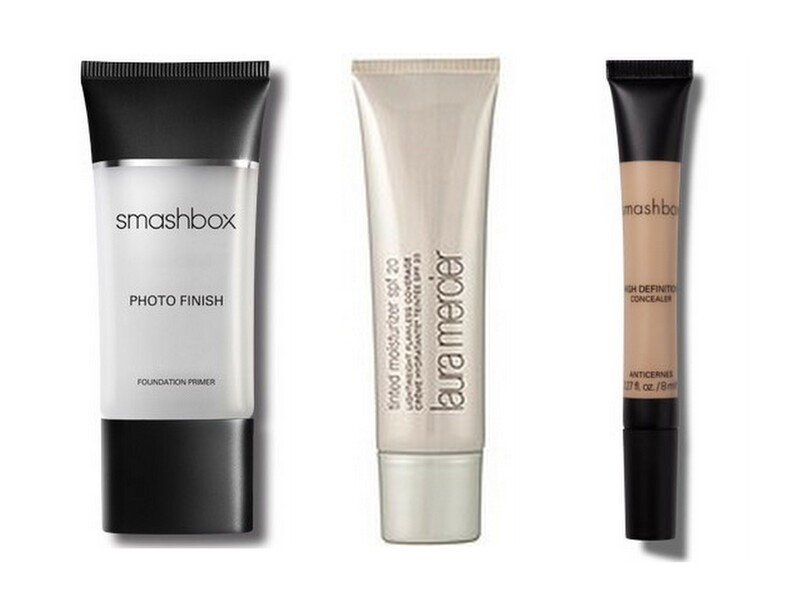 This entry was posted in Viewpoints and tagged interrogation, make-up, skin care on September 30, 2011 by Beautypendence. Last time we talked, Jenn had responded to some make-up inspirations that I sent her. She was on board for a neutral palette of an overall peach overtone, with punched up eyes. Based on that information, I devised an “ingredients list” to cook-up Jenn’s perfect wedding make-up look. Some of the products she would buy, and some I would bring with me. To come up with this list, I mentally walked through her make-up application. This entry was posted in Vanity and tagged Bare Escentuals, Benefit, blush, bride, bronzer, concealer, Dior, eyeliner, lashes, Laura Mercier, lipstick, LORAC, make-up, mascara, NARS, primer, Smashbox, styling, tinted moisturizer, wedding on September 27, 2011 by jenn. For this new series of posts, Jenn will pull looks from past events and walk through her styling strategy, from hair to shoes. This entry was posted in Vanity and tagged archives, BCBG, fashion, gala, Long Center, special event, styling on September 19, 2011 by jenn. Sweet, sweet vindication! Sort of. You might recall my Judicial Review of Chanel Peridot, where I ranted (maybe just a little) about how ugly the polish made my feet look. When I saw Dior Vernis Purple Revolution it was lust at first sight, and my heart swelled with the promise of a match made in heaven: my toes and this darkly exotic purple polish. This entry was posted in Vanity and tagged Dior Vernis, nail polish, review on September 18, 2011 by Wendy. This entry was posted in Viewpoints and tagged Bobbi Brown, Cetaphil, Estee Lauder, interrogation, make-up, Nars Dolce Vita, Oil of Olay, skin care on September 14, 2011 by Beautypendence. I’ve been a one-foundation woman for as long as I can remember: Bobbi Brown’s SPF 15 Tinted Moisturizer. We’ve been through a lot together and it’s never let me down, but lately I’ve been wondering what else is out there. How do I really know it’s the best if I don’t test drive another? I needed to get some foundation “strange”. I went looking for excitement on the other side of the tracks: the drugstore. In my Beauty Bill of Rights (Article IV) I stated that some things are worth paying a little more for, foundation being my example. Could I be satisfied with something so…common? 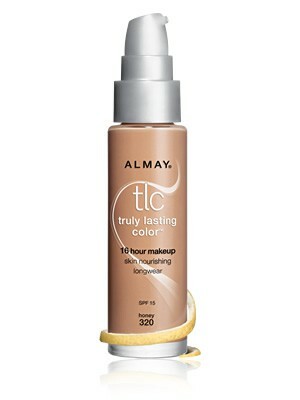 For my first, I went for something with stamina: Almay Truly Lasting Color with SPF 15. I’ve never strayed from Bobbi and I was nervous: would I look chalky or cheap? 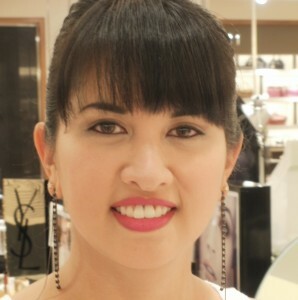 This entry was posted in Vanity and tagged Almay TLC Foundation, foundation, make-up, review, sunscreen on September 13, 2011 by Wendy. It’s a good thing that Wendy and I have a long-standing friendship. Because it was nearly torn apart by a nail polish. As you read from Wendy’s earlier post, she had high hopes for Chanel’s Peridot nail polish but was heartbroken by the resulting color. She passed the bottle on to me to see if I would have better luck. I believe she secretly hoped it would be a failure for me, as well. Turns out, I LOVE IT. 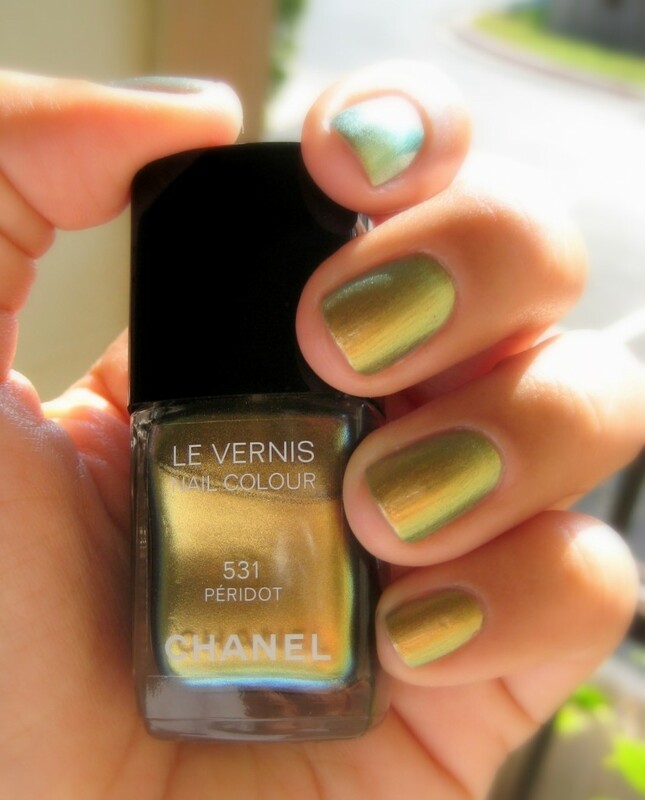 This entry was posted in Vanity and tagged Chanel, nail polish, peridot, rebuttal, review on September 13, 2011 by jenn.